Vegan and vegetarian athletes can attest that a little high-quality supplementation makes a huge difference. 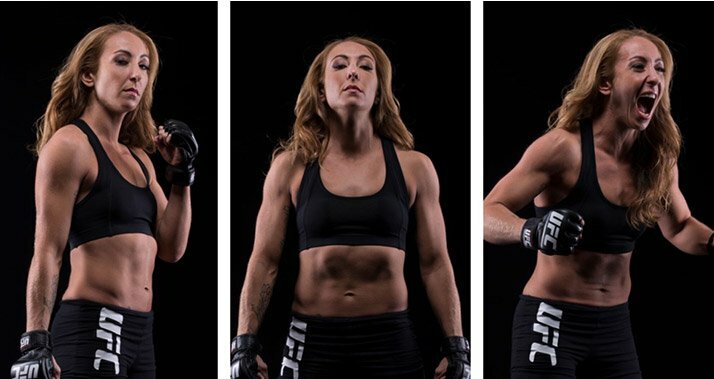 Here's the story of plant-based powerhouse Vega, from its co-founder and several top athletes who choose to eat the vegan way! In the rapidly growing field of plant-based nutrition, Vega stands at the vanguard. In eight short years, the company has done more than perhaps any other to dispel the idea that elite athletes can't thrive on a vegan diet. Former professional Ironman competitor Brendan Brazier is the dreamer behind the company. His experience working with Olympic and professional athletes, as well as his own time and commitment to his blender, pushed him to make Vega a reality. Brendan spoke with Bodybuilding.com about Vega's past and future plans, and how the company has found its place in the market. 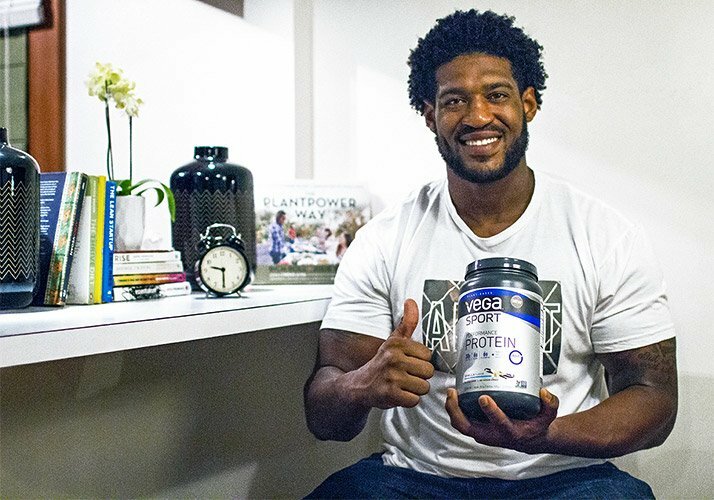 We also talked with several of Vega's athletes, including NFL defensive lineman David Carter, aka "the 300-Pound Vegan," UFC fighter Heather Jo Clark, bodybuilder Robert Cheeke, and WBA heavyweight pro boxer Bryant "By-By" Jennings. Brendan, tell our readers how your company started. Vega began with me just trying to find a good nutrition plan that would help me recover more quickly so I could train more. After years of research and experimentation on which diets worked for my body, I found that a plant-based, whole-foods diet helped me perform at my best as a professional Ironman triathlete. It's the same diet I'm still following today. During that time, my blender was my science lab. I can't even tell you how many strange concoctions I created in pursuit of the ultimate plant-based diet. It worked great, except when I traveled. Taking my blender on the road while searching for my favorite whole-food ingredients was burdensome, so I started searching for a convenient option that didn't compromise quality. When I came up short time and time again, I realized that if I wanted this perfect on-the-go supplement, I'd have to create it myself. Years later, when I started Vega with Charles Chang, this homemade on-the-go supplement would be the foundation of the product we now call Vega One. Vega began with me just trying to find a good nutrition plan that would help me recover more quickly so I could train more. What's your role, and can you tell us about your background in fitness? I'm a co-founder and formulator at Vega. I'm also a former professional Ironman competitor. Currently, I lead the nutrition team for the Cannonade-Garmin Cycling Team, I am the nutritional consultant for several NHL, MLB, NFL, UFC, and Olympic athletes, and I'm the author of the Thrive book series. The second edition of my book, Thrive Fitness, launches at the end of December, with a new foreword by Venus Williams, a new intro, photos, and fitness plan and supporting app. Who were some of the important people who helped you get your company off the ground? I started Vega with Charles Chang, whom I met shortly after I was hit by a car while training. Doctors told me that I'd have to take six months off from my workouts, but I refused to believe this was my only option. Charles owned a company called Sequel Naturals, which produced two amazing whole-food supplements: chlorella and maca. I took these while recovering with aggressive physiotherapy, and I consumed nutrient-dense, plant-based foods until I was able to compete as a triathlete professionally again. I wanted to reach out to Charles to share my success story, and soon enough, the two of us started discussing the concept of a complete, whole-food nutritional shake that was made exclusively from plant-based ingredients. Vega was born. All-In-One Nutritional Shake! Protein, Fiber, Probiotics, Greens, Omega-3, & Antioxidants! Go Now! What's the work environment around the office? Each one is critical in achieving our mission to empower the world to thrive and becoming better as a team and as individuals. Innovation is also a prized value at Vega, so even though the work environment is positive and inspiring, our team is open and holds nothing back. We set targets around our work and our personal goals, and we hold each other accountable. It's a truly incredible company filled with people who are living their best life and encouraging others to do the same. Tell us a little about some of your top products. The Vega Sport Nutrition System is an Informed Choice-certified, three-stage system with a number of specialized products designed for before, during, and after training. To take your short and long workouts to the next level, Vega Sport Pre-Workout Energizer supports performance with caffeine, carbohydrates, and ingredients such as rhodiola rosea and ginseng to increase immediate energy and sustain endurance. Vega Sport Performance Protein is a Non-GMO Project verified, complete plant-based protein shake to help you find your competitive edge by reducing recovery time so you can train again sooner and perform better. If you're looking for a nutritional shake That will provide you with the complete daily essentials to help you thrive, Vega One Nutritional Shake is packed with 20 grams of protein, 6 servings of greens, 50 percent of your daily intake of vitamins and minerals, 25 percent of the recommended daily intake of fiber, 1.5 grams omega-3 fatty acids, plus antioxidants and probiotics—all made from real, whole-food ingredients. Complete Plant-based Protein! Support To Strengthen - Tone - Repair & Regenerate! * Go Now! If a new customer here wants to try one of your products, what would you recommend? It really depends on your goals, Vega Sport Performance Protein is a great place to start if you're looking for a complete, plant-based protein shake that tastes great. With 30 grams of premium, plant-based protein and 6 grams of both BCAAs and glutamine, it's perfect to help athletes and bodybuilders repair muscles and reduce recovery time post-workout. Before we wrap up, do you want to give any final thoughts? Seeing the passion in everyone I meet inspires me and keeps Vega innovating and getting better at what we do, which is to give people the knowledge and nutrition they need to help them be better on their own terms. We all have different goals, but we can all make one small change. David, tell us about your athletic background. I'm an NFL defensive lineman, though I'm currently a free agent. I was drafted out of UCLA in 2011. I've played for the Arizona Cardinals, Dallas Cowboys, Jacksonville Jaguars, and most recently the Chicago Bears. I also go by "The 300-Pound Vegan." What was it that originally interested you in Vega products? When I decided to become a vegan, in order to play defensive line I still had to maintain my 6-foot-6, 300-pound frame. So I began searching for a solid vegan protein to help me get enough protein as well as calories to help me sustain my body weight. I was also looking for something without any unnecessary additives or added sugars that was also non-GMO. In the process, I tried many different products. Eventually, I came across Vega Sport Performance Protein, and it was exactly what I was looking for. Taste is important to me too; I think Vanilla and Chocolate are especially good when blended with almond milk. My preference is to get protein from whole-food sources, but when I don't have a post-workout meal ready or if I'm in a rush, I'll make a quick Vega Sport Performance Protein shake. I also use the Vega Sport Pre-Workout Energizer. The product definitely works and gives me plenty of energy on those days when I have a hard workout or don't want to train. It's also a much better alternative to the rocket fuel I used back when I wasn't vegan. The ingredients work well in all stages of your training session, and especially for recovery. Why should someone consider Vega products? 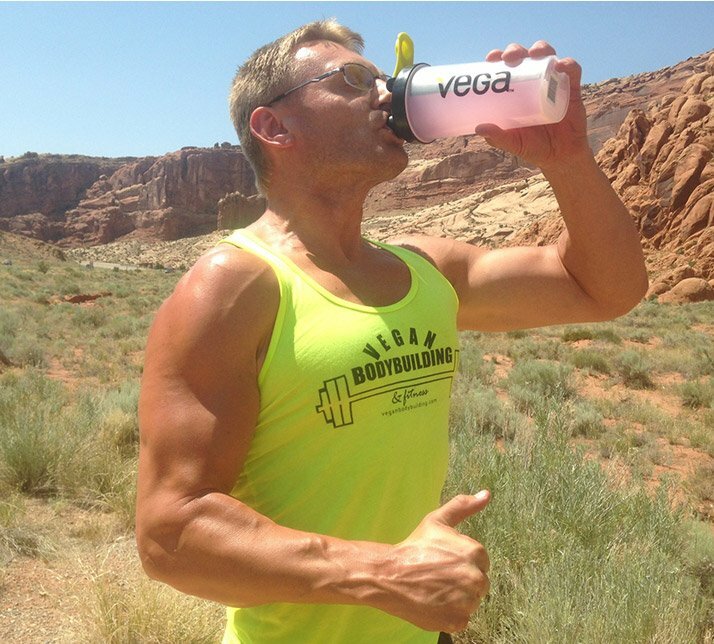 If you're trying to gain muscle with a clean supplement, Vega products are exceptional. Vega Sport Performance Protein has 30 grams of complete plant-based protein. If you're going to make the time to take supplements to support muscle gains or energy drinks for improved performance, don't just use any chemical concoction made in a lab by some mad scientist. Heather, you've got a diverse athletic background. Tell us more about it. I've been an elite athlete my whole adult life. At 18 I started my journey playing Division 1 and professional ice hockey. Ten years later, I started fighting, and am now currently fighting professional MMA for the UFC. What was it that originally interested you about Vega? When I started my MMA training, I realized that I was allergic to whey protein, and began searching for a plant-based alternative. I tried everything until I found Vega. In the last seven years, Vega has made significant improvements in all their products, including, in my opinion, the best-tasting and healthiest products on the market by far. What supplements do you currently use? I use all the Vega products on a weekly basis. However, there are a few from their sport line that I couldn't live without. I keep Vega Sport Pre-Workout Energizer and Vega Sport Recovery Accelerator in my gym bag so I can take them 1-2 times daily. Vega Sport Performance Protein is also a daily staple. My favorite is the chocolate flavor, either shaken with rice milk or blended with almond milk, almond butter, and a banana. What makes Vega a better choice for supplements? Vega is not just a supplement company, but a lifestyle company that guides people to a healthier way of life. They're constantly improving their products and coming out with new flavors to keep things fresh. I've been using Vega for eight years and owe a lot of my health and success to them. I'm a 31-year-old professional boxer and vegan from the rough streets of North Philadelphia. After a career working at the Federal Reserve Bank of Philadelphia, I started boxing. This was in 2009, and in only a few months, I fought my way to the State of Pennsylvania Golden Gloves Championships and the finals of the National Gloves tournament. I'm now challenging for World Championships and have a 19-1 record with 10 of those wins by knockout. My next big fight is December 19 on HBO, where I'll be challenging Luis Ortiz. Outside the ring, I'm a dedicated, loving single father to my 6-year-old son, Mason, and I'm living a strict vegan lifestyle that I'm super-passionate about. Why did you choose to be a part of Vega? I first became interested in Vega when I began transforming to a vegan and whole-foods diet, and I started asking around for the best sport-protein supplement. I was quickly directed to Vega, and it was then I discovered all the options they offered. Which of their supplements do you currently take? I currently use Vega Sport Pre-Workout Energizer, Vega Sport Electrolyte Hydrator, and Vega Sport Recovery Accelerator, which is my favorite trio. 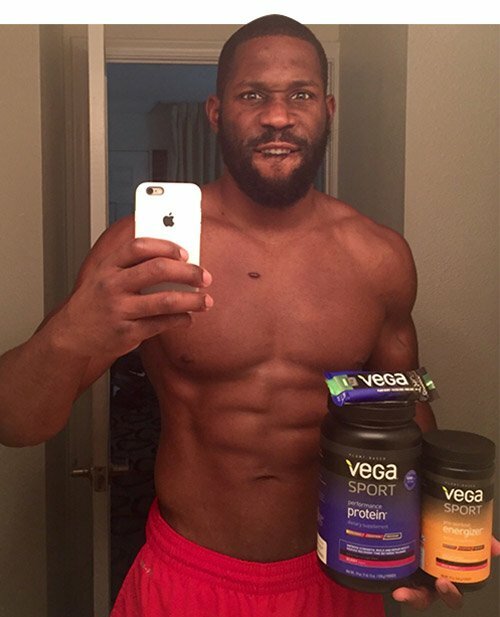 I also use Vega Sport Protein Bars (Chocolate Mint) and Vega Sport Performance Protein. Tell us about your background. You succeeded in two very different athletic pursuits. I've been a competitive athlete for the past two decades; I became a two-time natural bodybuilding champion as well as a champion distance runner. Pursuing strength-and-endurance sports gave me an opportunity to work hard and achieve on different ends of the athletic spectrum. Using products like Vega supplements helped me recover quickly and perform at a high level in both bodybuilding and running. Why did Vega interest you? Vega grabbed my attention many years ago when I was looking for the cleanest products on the market. As someone who pays special attention to the quality of food and products I consume, Vega was at the top of the list. I was also inspired by the product formulator Brendan Brazier, who set records in Canada as an ultra-runner. I've used the whole range of Vega products over the years, but by far my favorite products are the Vega Sport Pre-Workout Energizer (Acai Berry flavor), Vega Sport Electrolyte Hydrator (Berry flavor), and the Vega Snack Bars (Dark Chocolate Mixed Nuts and Sea Salt flavors). I like the energy boost I get from the energizer, and I just really like the taste of it, too. As someone who trains a lot, the Vega Sport Electrolyte Hydrator is a great product to replace electrolytes lost through exercise and sweat. Vega Snack bars are a great on-the-go snack, with awesome flavors and real food ingredients. Vega One in Chocolate and Vega Sport Performance Protein in Vanilla are additional favorites. Why benefits do Vega products offer to Bodybuilding.com customers? I've always encouraged friends and fellow athletes to give Vega a try. Compared to other sports-nutrition products out there, I find Vega to be a cleaner, healthier alternative that tastes great as well. I tend to focus on the return on investment. What's the ROI of the products you're taking now? If it doesn't stack up nicely, give Vega products a try, because Vega products are formulated with ROI in mind, with purpose-driven ingredients. Vega is as good as it gets in the sports-nutrition industry as far as I'm concerned.